Where there is a single method that overlaps both vendors. When there are multiple overlaps with the available rates. Jetti requires that you have the real-time carrier rate feature enabled on your Shopify account. 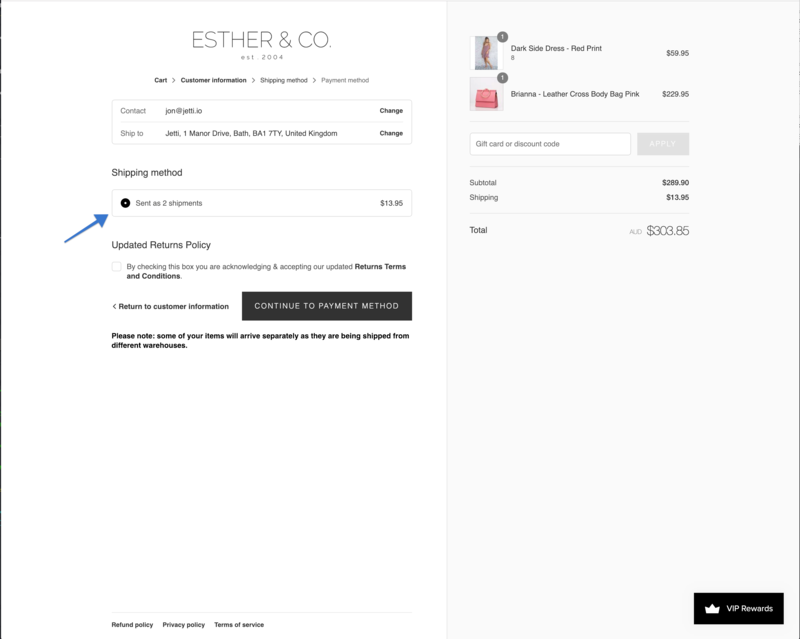 This feature allows your shop to retrieve rates from any external source, whether it's real time rates from UPS, FedEx, USPS, or any other custom shipping rate services like Jetti. You can add the real-time carrier feature for free if you contact Shopify support and change your billing cycle with Shopify to 'yearly'. If you’re not ready to go for yearly billing, then you can add the real-time carrier shipping feature a la carte to your existing plan for $20/month. 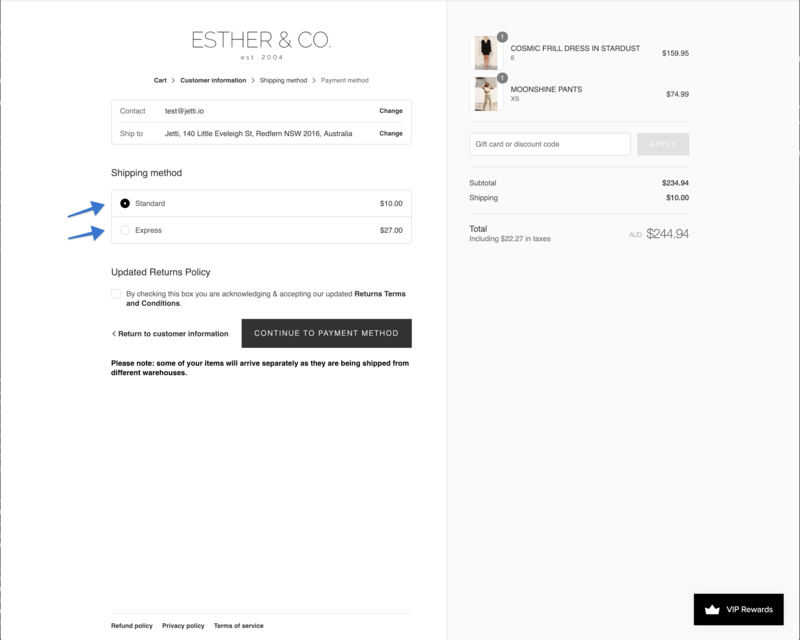 Again, you will have to contact Shopify support directly and have them add this to your plan. Maybe you’ve been considering ‘Advanced Shopify’? This would be the perfect time to upgrade; it comes with the real-time carrier rate feature. Why is this feature required, even if I don’t need real-time carrier rates from FedEx, UPS, or USPS? The real-time carrier shipping feature not only allows you to use real time rates from the major carriers it also allows you to retrieve rates using any other API (like rates from our app). If our app, or any other shipping rate app was allowed to run without the real-time carrier shipping feature added, then we could actually deliver real-time rates from the major carriers through our app and thus circumvent this feature differentiation.